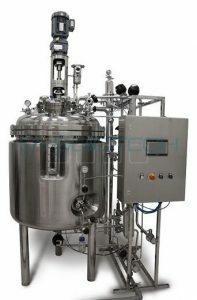 Floor-standing freeze drying plants are supplied with a condenser capacity of 8, 12 and 18 liters. 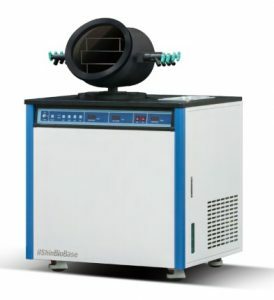 Models with a condenser temperature of -50 … -55°C and -75 …-85°C are available. Teflon coating of the drying chamber extends the service life of the dryer. range of glass ampoules and vials. The drying process can be carried out both manually and automatically. 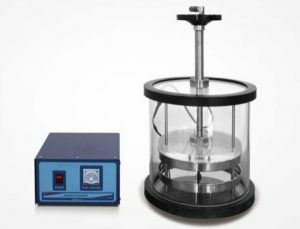 Automatic purge system prevents backward motion of vacuum oil to protect the sample. Shell freezer with dryer provides fast freezing down to -40℃ by robust cooling system. 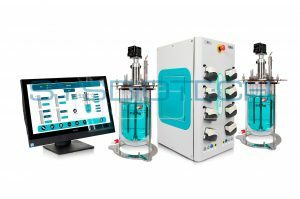 Uniformity of sample is guaranteed by specially designed rotating procedure that convinces efficient drying process. 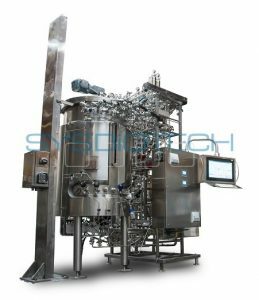 Freeze Drying is executed under various environments and observation for the process is necessary. Therefore various applications are possible and loading/unloading is convenient. 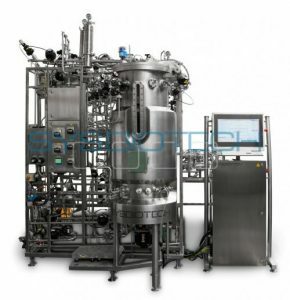 It is easy to observe drying process and addition of freeze drying in the process is possible. Condensed ice must be removed within 30 minutes for continuous operation and for preventing contamination. Condenser forms round type ice at below -80℃, easy to be removed from condenser chamber even under process of defrosting so next operation is promptly ready. PTFE coating is standard feature for protection from contamination or corrosion by acid or chemical substance. 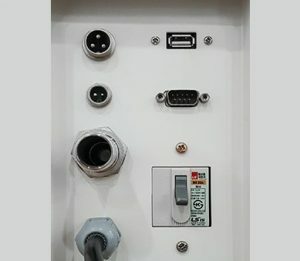 Connectable with PC by serial port. Available for monitoring temperature, vacuum level and operation status. Cloudiness of vacuum oil can be observed through the window for timely maintenance and for long term use.